Karl Lagerfeld: Spoonlight Diet for Weight Loss. 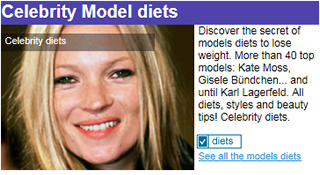 Karl Lagerfeld's celebrity diet to lose 90 lbs ! Place of birth: Hamburg, Germany. 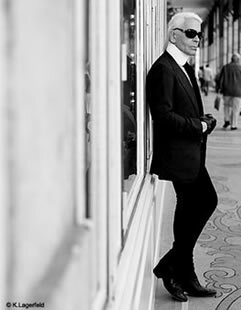 Karl Lagerfeld, fashion designer and art director of Chanel, lost 90 lbs in a year to recover his credibility in the fashion industry. His secret: The Spoonlight Diet, better known under the name Lagerfeld Diet. 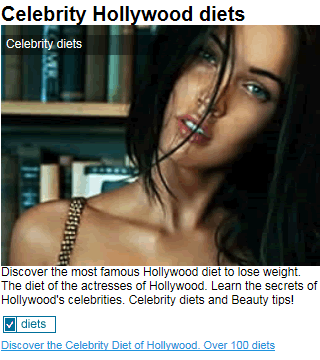 Discover now this diet! The secret of the Karl Lagerfeld Diet: The Spoonlight Diet. Before starting a diet, please consult your doctor or nutritionist. 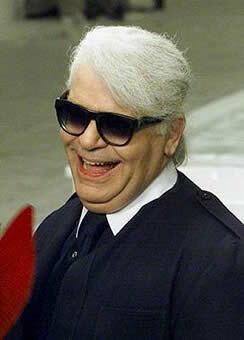 Weight loss: 90 lbs in 13 months, is what Karl Lagerfeld has thinned. The Spoonlight diet followed Karl Lagerfeld is a low-calorie diet (between 800 kcal and 1200 kcal per day) and requires a lot of will. The diet is low in fat and sugar, and includes essentially green vegetables and lacteal products to 0%, nutritional supplements (vitamins, diuretic plant cocktails, energy pills and protein pills to moderate the appetite and keep muscle mass). Breakfast: 2 proteins pills to keep energy until noon. Lunch and dinner: green vegetables almost at will, meat or equivalent strictly selected (no beef, lamb or pork), but fish, chicken, turkey and occasionally veal, rabbit and horse, and lacteal products to 0%. Between hours: Taking food supplements and 1 proteins powder. Aditional tip: Eat daily preferably at the same hour, avoid go to bed directly after dinner. Meat prohibited: beef, lamb and pork. Authorized: fish, poultry, veal, rabbit and horse. The reason: the fat contained in certain meat is directly stored by the body and increase the bad cholesterol. Protein pills help to keep energy until lunch, and are taken as a snack to hold during the day. The reason : protein is the main energy source. Karl Lagerfeld uses 6 nutritional supplements: satiety, appetite regulation, diuretic plants, multivitamins cocktail, energy and weight loss accelerator. The reason: help the metabolism for weight loss and avoid nutrients lacks and hunger. Walk for 30 minutes per day, swim and climbing stairs are enough to exercise the heart and metabolism. The reason: it's important to move to burn calories. There is no need to do too much sport because the amount of calories ingested are small in the Lagerfeld diet. Should I follow the Spoonlight diet by Lagerfeld or not? 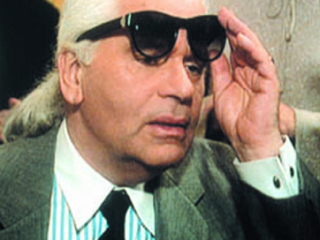 According to our experts: "The Spoonlight diet by Lagarfeld has be done under regular medical supervision, something that only Karl Lagerfeld and other VIPs are able to do on a long term (it's very expensive), because the removing of certain foods rich in calories (starchy) can be a source of nutrients lacks." 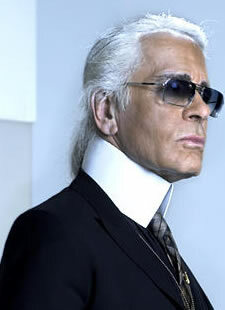 Celebrity Busted: Karl Lagerfeld without sunglasses!